Vampires in the cinema: here’s to the bloodsuckers that don’t sparkle, part two. | The mind is an unexplored country. 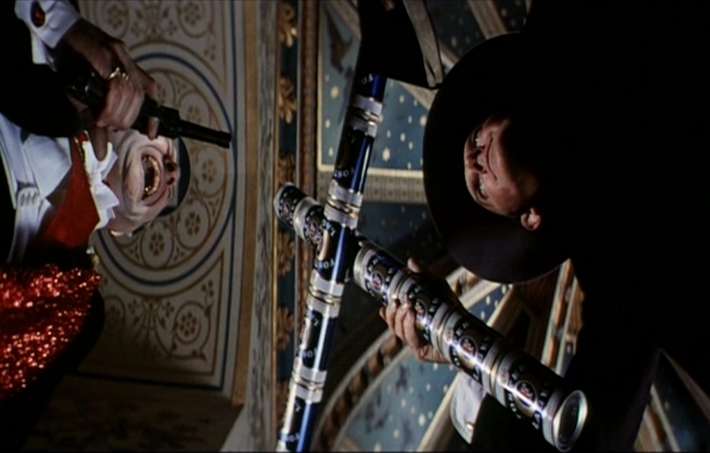 Vampires in the cinema: here’s to the bloodsuckers that don’t sparkle, part two. Blacula is another fine example of early 70s horror. 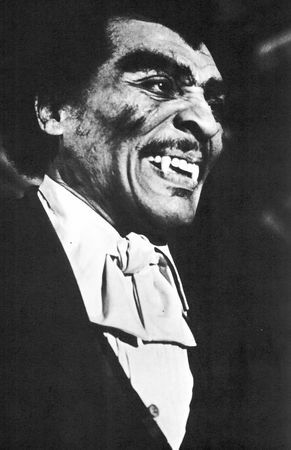 Blacula was an African prince before he met Dracula. Released from his tomb in the modern era he finds a woman that he believes is the reincarnation of his wife. He dies at the end, but is somehow brought back for the sequel. Forget about Transylvania, the real homeland of the undead is Hollywood. Eccentric filmmaker Guy Maddin collaborated with the Royal Winnipeg Ballet to film Dracula: Pages from a Virgin’s Diary. Normally I find ballet rather less involving than a beige wallpaper pattern, but this held my interest. Tara Birtwhistle and Wei-Qiang Zhang. Yep, we got ourselves an Oriental Dracula here. Maddin’s films are strange echoes of cinema’s early days – grainy black and white, with text panels and music mixed with spoken narrative. Brand Upon The Brain! is my personal #1 Maddin, a disturbing exploration of the childhood phantoms that linger on to haunt us as adults. Pages from a Virgin’s Diary is enhanced by Maddin’s style, harking back to Victorian England and the old Universal horror films, while employing a few modern flourishes. Of the vampire movies made in Australia the only one I’ve seen is Barry McKenzie Holds His Own. Esteemed British actor Donald Pleasence stars as Count Plasma, whose henchmen mistake Barry’s Aunty Edna for the Queen of England. An understandable error. The glasses, you know. The Count almost succeeds in draining Edna of her precious bodily fluids, but Barry’s twin brother Kev the Rev saves the day with typically Australian resourcefulness. If that pic doesn’t inspire you to seek the movie out, then I’m sorry. There’s nothing I can do for you.